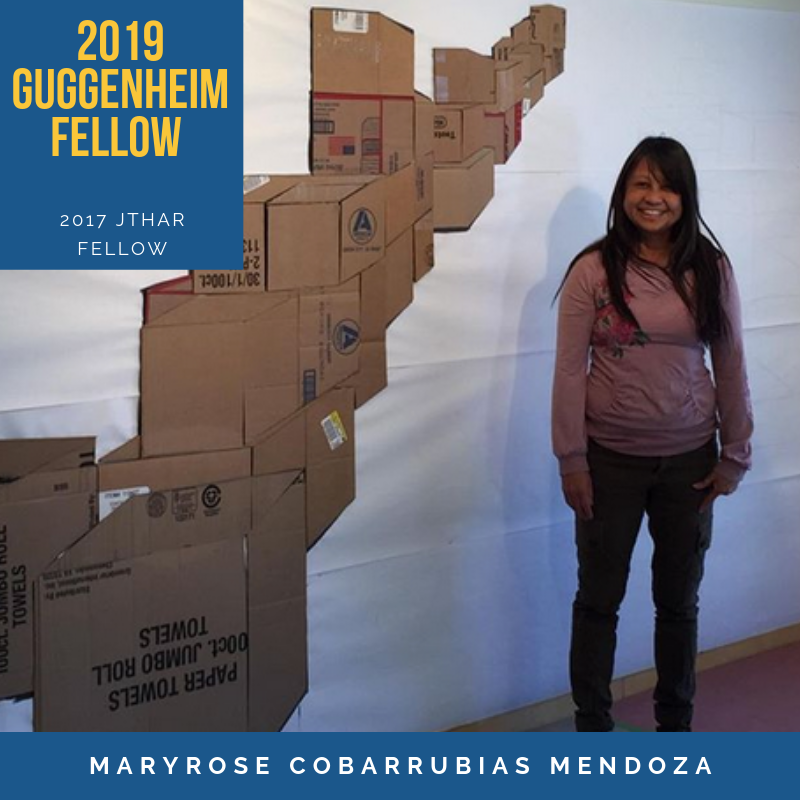 We are excited to announce that our 2017 JTHAR fellow Maryrose Cobarrubias Mendoza has been awarded the 2019 Guggenheim Fellowship. Mendoza is part of a diverse group of 168 scholars, artists, and writers. Appointed on the basis of prior achievement and exceptional promise, the successful candidates were chosen from a group of almost 3,000 applicants in the Foundation’s ninety-fifth competition. Known for her strong contemporary voice, Mendoza blends her Filipino heritage with her unmistaken political, yet personal, commentary. She has made an incredible mark in Southern California and New York. After attending The Otis Art Institute of Parsons School of Design and receiving her MFA from the Claremont Graduate University, Maryrose is now an Associate Professor at Pasadena City College. She has received awards from The Department of Cultural Affairs, C.O.L.A. and Los Angeles Artist Fellowship, Los Angeles (2012), PlugIn Gallery, Canada (1997), Art Matters, NY (1995), and The National Foundation for the Advancement in the Arts (1984). Her solo exhibitions include: Commonwealth & Council, S1f Gallery, Los Angeles; Solway Jones Gallery, Los Angeles; Haus Gallery, Pasadena; YYZ Artist’s Outlet, Toronto. For more information on the Fellows and their projects, please visit the Foundation’s website.